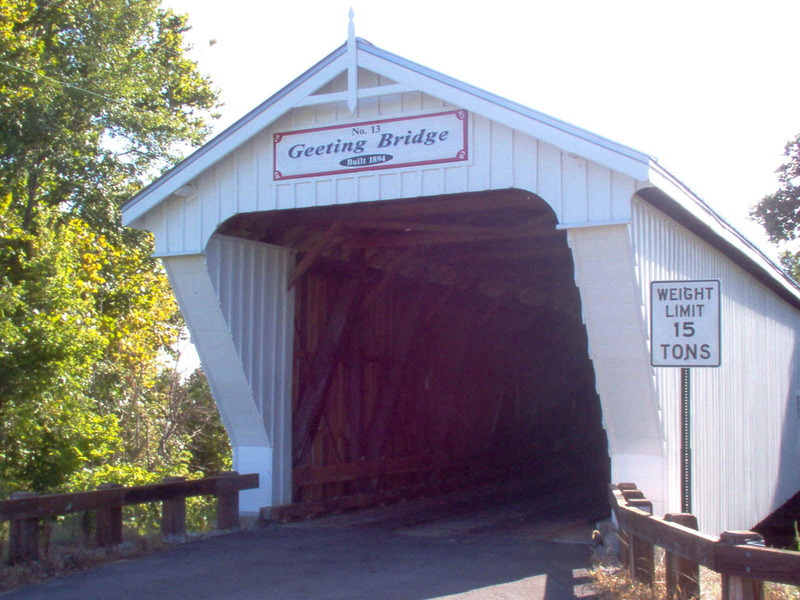 Built in 1894 by E. S. Sherman at the cost of $1,850.00 and the Koppee Brothers building the abutments at the cost of $1,054.00, and costs for excavation and fill brought in to make the total cost for this bridge $2,691.00. 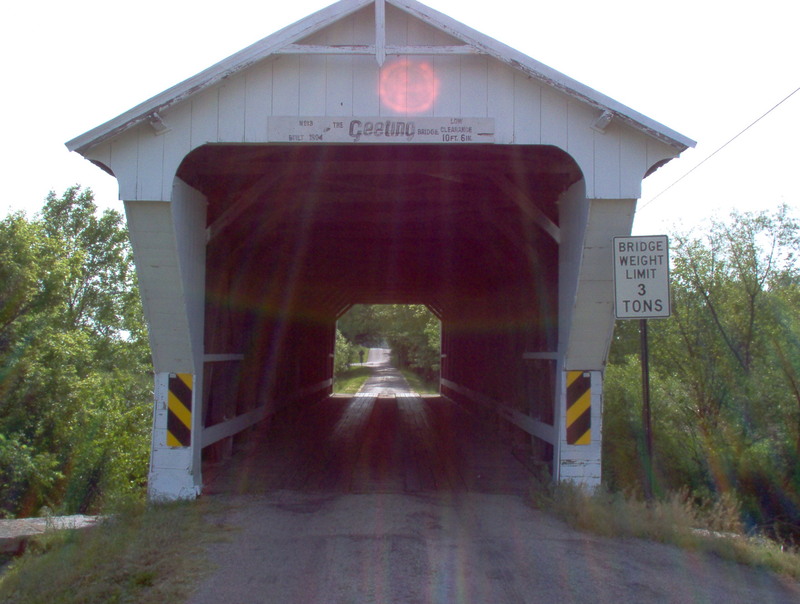 The Geeting Covered Bridge spans 100 feet long, 15 feet wide, with a clearance of 13 feet over Price’s Creek. 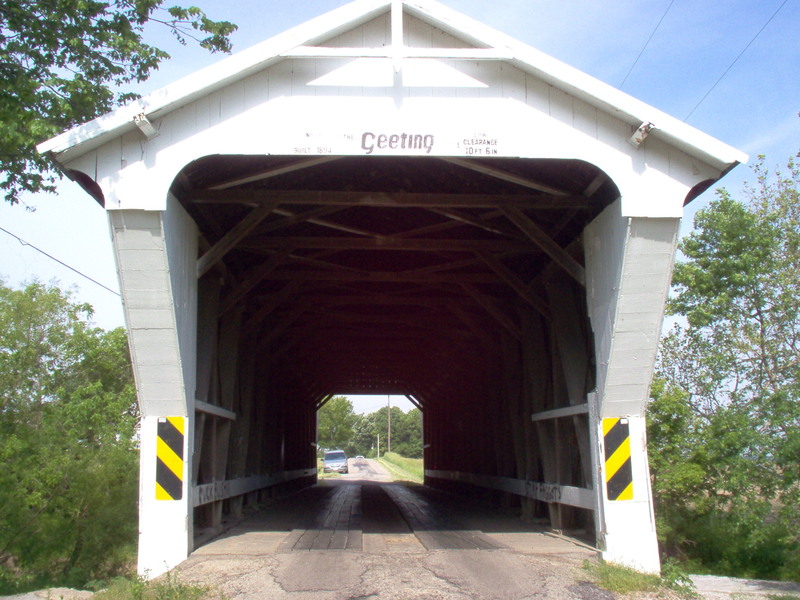 The first person to drive across this bridge was Dave Geeting. 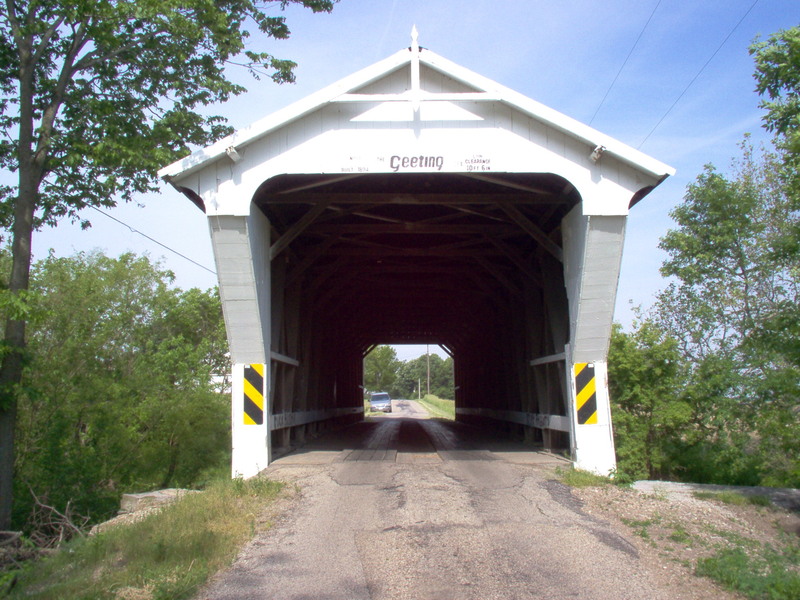 He owned the property on the south and the west of the bridge and was so pleased with a bridge being built that he asked to be the first person to drive across this bridge. He passed away about a year later from the bridge being completed. 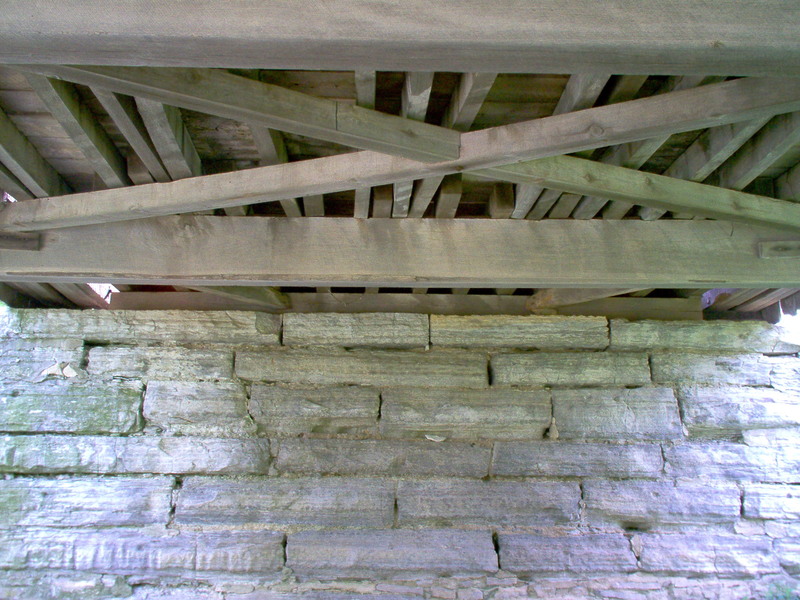 In 1914 during a windstorm the roof of the bridge was blown off and in 1969 the roof framing was ripped out by a highly loaded truck. 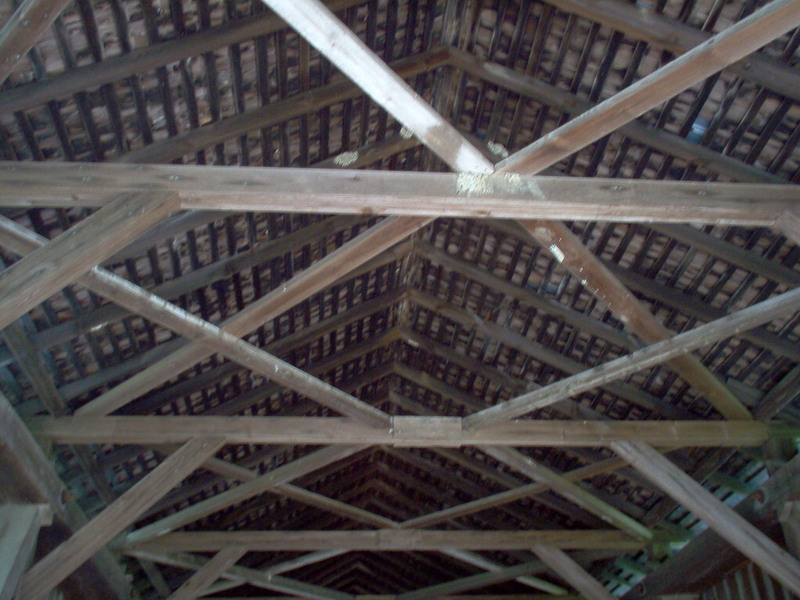 Sometimes floor beams would be broken by overloaded trucks as well and the bridge was then repaired each time. 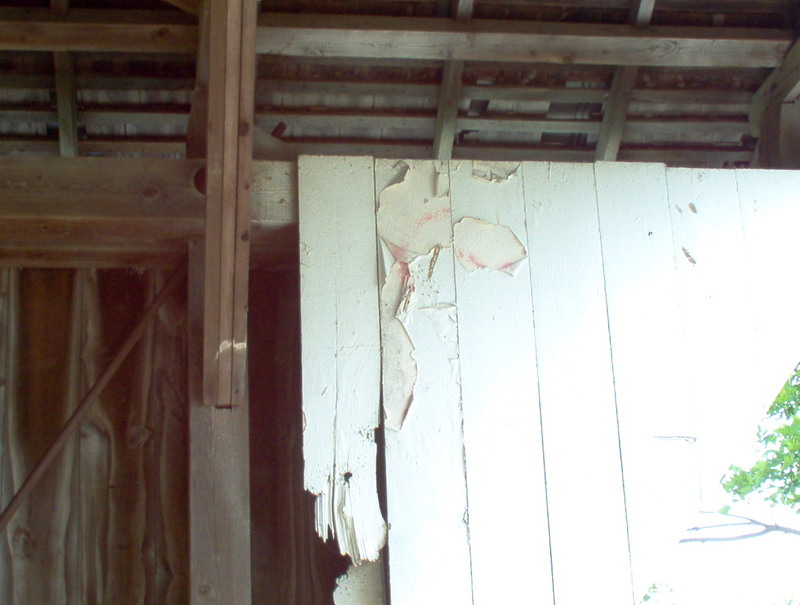 A previous rehabilitation was completed in 1973. 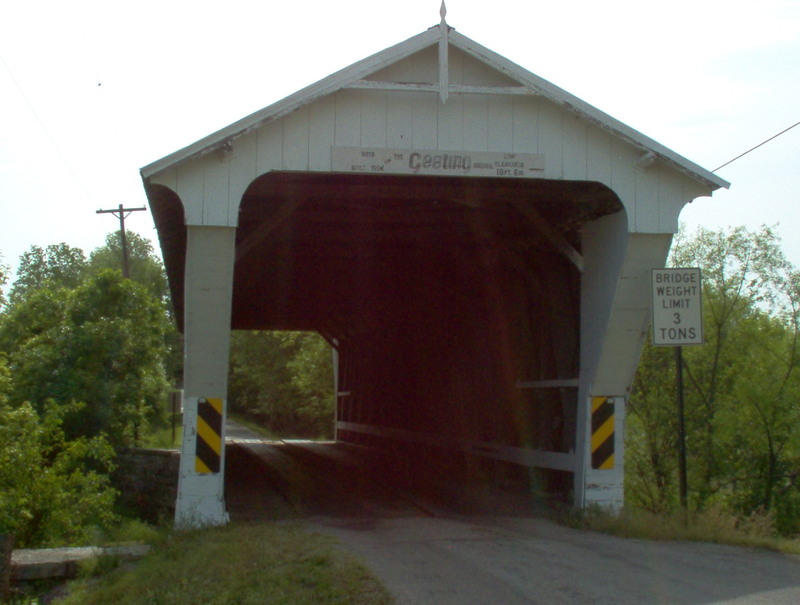 In August of 1975, the bridge was posted on the National Register of Historical Places. 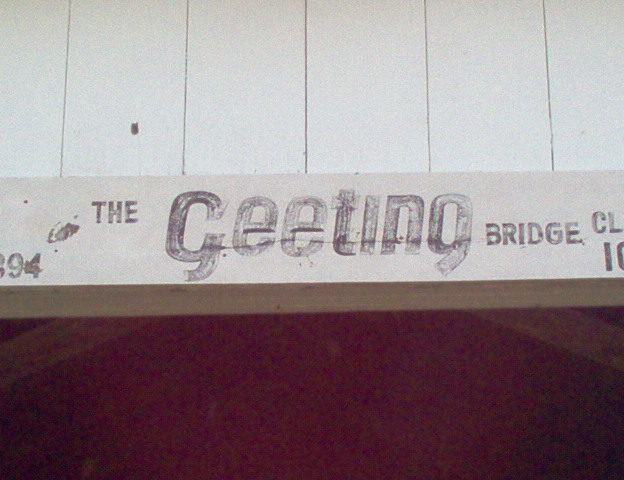 The renovation of the Geeting Covered Bridge, located on Price Rd. 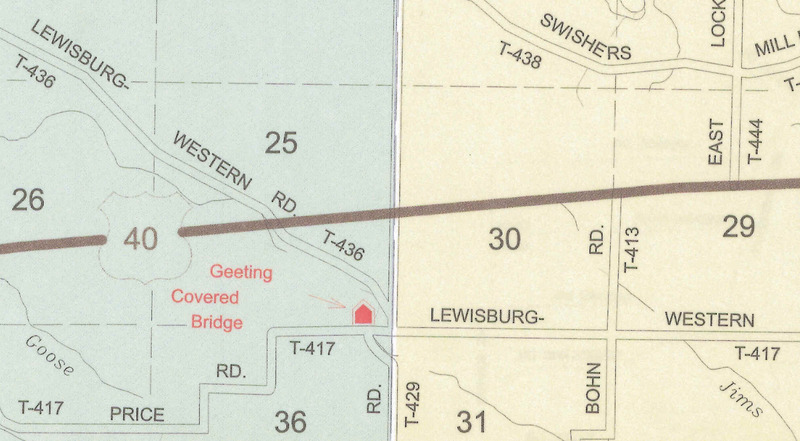 west of Lewisburg, is now complete. This project was completed at the cost of $379,753.00. It was decided after bridge inspections showed deterioration that in order to keep the bridge as an active, working bridge, extensive repairs were needed. County Engineer Steve Simmons secured the project with 95% of the project federally funded and the remaining 5% locally funded.